This week we highlight Réseau SirtAqui, one of our biggest publishing partners in France with more than 2,000 routes for you to dig in and explore. Summary: SirtAqui (Regional Tourist Information System of Aquitaine) is a network that brings together more than 900 people in the tourist offices of Nouvelle-Aquitaine, France. Aquitaine is one of the most diverse regions in France with the Atlantic Ocean running along the west coast and Pyrenees mountains covering the south-east. 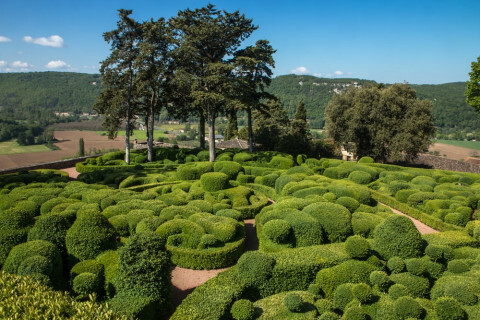 It also boasts the largest forest in France, medieval castles and villages, the largest sand dune in Europe, the beautiful architecture of Bordeaux, and a huge network of cycling trails. Réseau SirtAqui has collected all the information a tourist needs to visit Aquitaine: accommodation, activities and leisure, heritage, restaurants, events, and walks. They have published hundreds of trails to discover the region by foot, bike, mountain bike, horseback or boat in ViewRanger. There are routes for both hard-core explorers and newbies alike. ViewRanger is an open platform for writers and publishers to share their favourite places ranging from everyday adventures to far-away dream destinations. Learn more at https://www.viewranger.com/partners/publishing-routes.